Danish director Lone Scherfig's modern-day drama about a group of people seeking to rebuild their lives after shattering experiences opened the 69th Berlin Film Festival yesterday. Set in a Russian restaurant in New York, Scherfig's "The Kindness of Strangers" is one of 17 movies vying for top honors in Berlin, the Golden Bear for best picture. The 59-year-old Scherfig is also one of a record seven female filmmakers who have been selected to screen their new movies in the Berlinale's showcase competition. However, it was not until 2000 that she won critical acclaim for her romantic comedy "Italian for Beginners." Nine years later, she moved to consolidate her career with "An Education" about a teenager coming to terms with life in post-World War II Britain. Now she is back in Berlin with the world premiere of "The Kindness of Strangers." 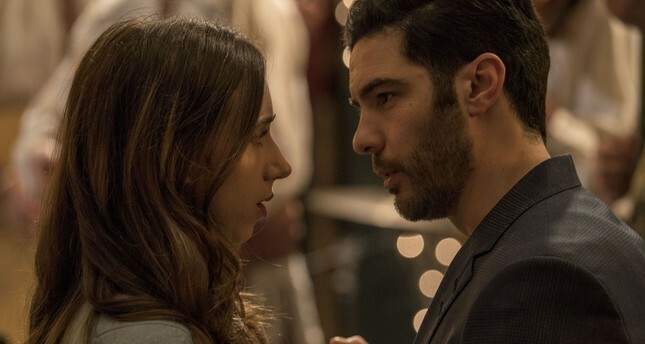 Scherfig's film stars Zoe Kazan - the granddaughter of legendary U.S. theater director Elia Kazan - as a young mother fleeing to New York in a bid to escape her abusive police officer husband where she meets a group of people also struggling with upheavals in their lives. "The Kindness of Strangers" also stars France's Tahar Rahim and Britain's Bill Nighy. A six-member jury headed by Oscar-winning French actress Juliette Binoche is to hand out the Berlinale's prestigious prizes at a Hollywood-style gala ceremony on Feb. 16.